It has begun — the arrival of enthusiast GeForce RTX models is imminent. KUDAN, MATRIX, LIGHTNING, KINGPIN, a spell that can make your wallet disappear (so don’t repeat it). After MSI Lightning tease and first traces of ASUS ROG MATRIX, we finally have a proof EVGA is working on Kingpin. 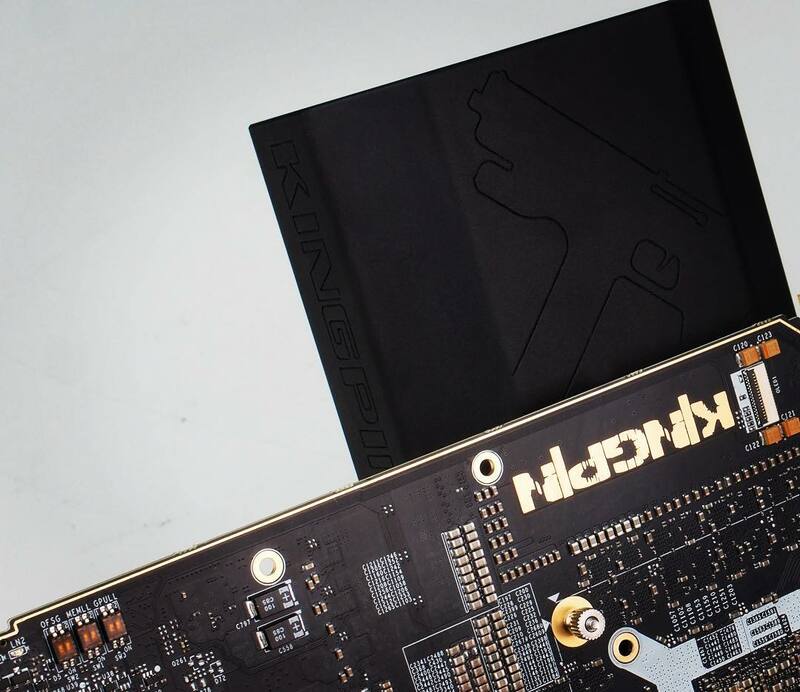 A photo, which posted by Vince Lucido ‘K|NGP|N’ on Instagram, showcases the fifth installment in Kingpin series, EVGA’s super-high-end, expensive and simply ridiculous series. Obviously, these cards are not for casual gamers. Kingpin models are designed for extreme overclocking (hence there’s an LN2 block pictured as well).